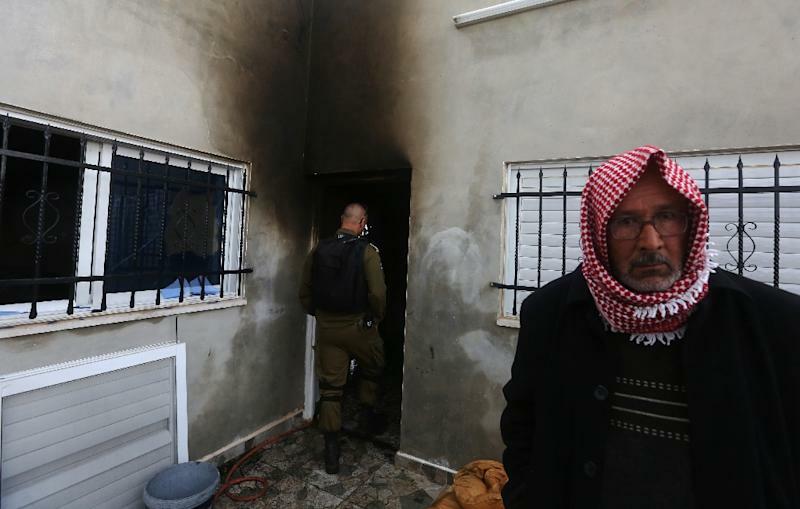 Duma (Palestinian Territories) (AFP) - Fire on Sunday engulfed the home of a key witness to an arson attack by Jewish extremists that killed a Palestinian family last year, but he survived the blaze, police and residents said. The home of Ibrahim Dawabsha is in Duma in the occupied West Bank, the same village where a July firebombing killed an 18-month-old Palestinian boy and his parents. Israeli authorities were investigating the cause of the fire at the second floor home, though residents said they believed it was started by Molotov cocktails and Palestinian officials reacted angrily to what they viewed as another extremist attack. Dawabsha and his wife were awakened overnight by thick smoke, residents said. The young couple, relatives of the family killed in July's attack, were hospitalised for smoke inhalation and were said to be in shock. "At around 1:30 am, I heard my brother and his wife call for help," said Dawabsha's brother Bashar, who lives downstairs. "I went up to their floor and I saw the fire." There was heavy damage, with walls covered in soot and furniture burnt, including the bed. Shocked residents gathered to view what happened. A bedroom window in the house was broken, with shattered glass inside, an AFP journalist reported. 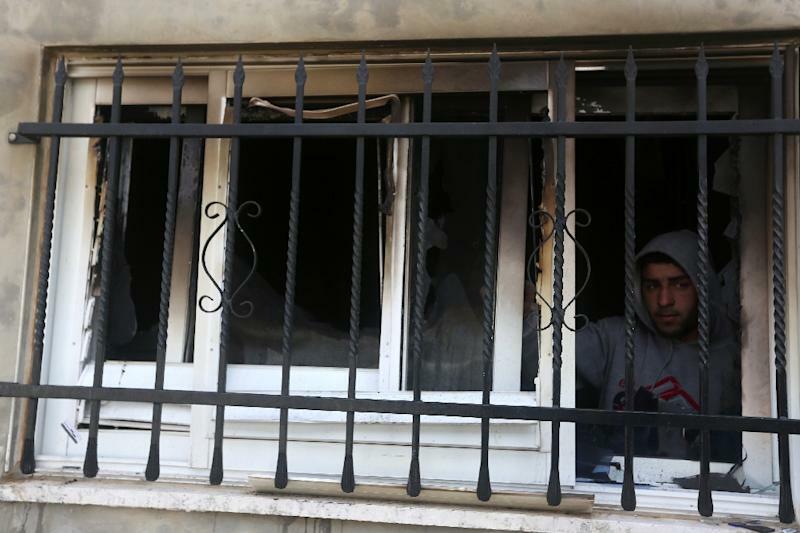 The broken window raised suspicions that petrol bombs had been thrown inside -- as occurred in the July attack. "The window was broken from the outside and flammable materials were found in the rubble," Colonel Malek Ali, fire chief for the nearby city of Nablus, told AFP. Another family member, Nasser Dawabsha, said he believed the fire was intended to "send a message to the family and the village: 'This witness must disappear.'" Israeli police had initially said "all leads will be investigated", issuing a gag order on the probe. Israel's Shin Bet internal security agency said later the investigation's findings were indicating that "this is not a nationalistically motivated incident". "The findings collected so far at the scene are not characteristic of deliberate Jewish arson attacks," a Shin Bet statement read. The July 31 attack on a family home in the village killed 18-month-old Ali Saad Dawabsha and fatally injured his parents. Five-year-old Ahmed was the sole survivor from the immediate family. After spending months in hospital, he was flown to Spain last week to meet Real Madrid football stars, including his hero Cristiano Ronaldo. Ibrahim Dawabsha told local media last July that he saw two masked men standing near the badly injured parents lying on the ground. 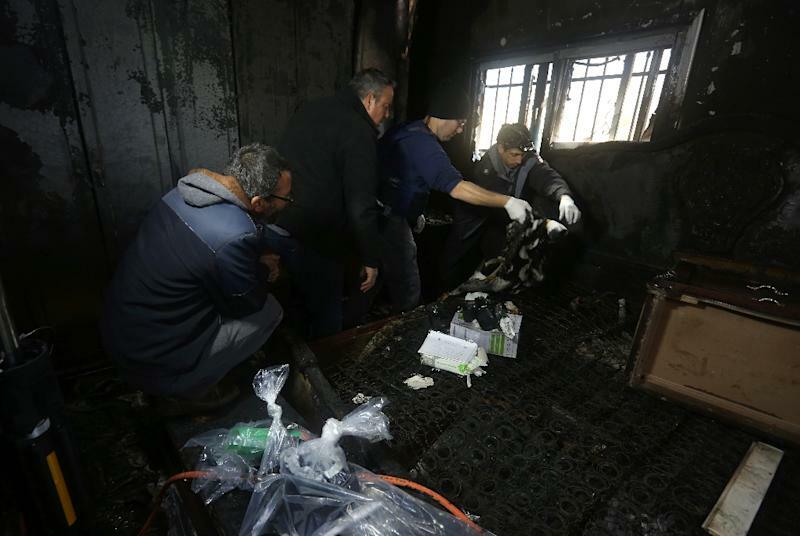 In January, a court charged two Israelis over the firebombing after slow progress in the case led to criticism from human rights groups and Palestinians. The attack generated global condemnation and drew renewed attention to Jewish extremism, including accusations that Israel had not done enough to prevent such violence. Amiram Ben-Uliel, 21, from the northern West Bank settlement of Shilo, was charged with three counts of murder and one of attempted murder, arson and conspiracy to commit a hate crime. A 17-year-old, whose name remains under a gag order, was charged with being an accessory to committing a racially motivated murder. Ben-Uliel and the minor, who lived in another wildcat settlement near Duma at the time, allegedly plotted to avenge the shooting death of an Israeli near Shilo by a Palestinian one month earlier. At the time, Prime Minister Benjamin Netanyahu labelled the firebombing "terrorism" -- a word usually used by Israelis to refer to violence committed by Palestinians. Israel came under heavy pressure to try those responsible, with rights groups questioning the delay in investigating the case and contrasting it to the swift response that generally follows Palestinian attacks. Palestine Liberation Organisation secretary general Saeb Erakat said in a statement Sunday that "we hold the Israeli government fully responsible for the crimes in Duma" and said he was expecting "another sham investigation". Robert Piper, UN humanitarian coordinator for the Palestinian territories, "strongly condemned" the attack which he said was carried out by "suspected Jewish extremists". He urged Israel "to investigate this incident promptly and fully" and said letting "such acts... foster hatred and violence" would "only bring more personal tragedies and bury any prospect of peace".